Do you ever wish you were a child again and able to take naps in the middle of the day? I remember as a little kid never wanting to go down for a nap. What was I thinking? If I only knew then what I know now. Daytime naps that last between 15 and 90 minutes can improve brain functions ranging from memory to focus and creativity. I am actually yawning as I sit here typing this post. I guess it made sense to make this week’s Freebie Friday feature naps. 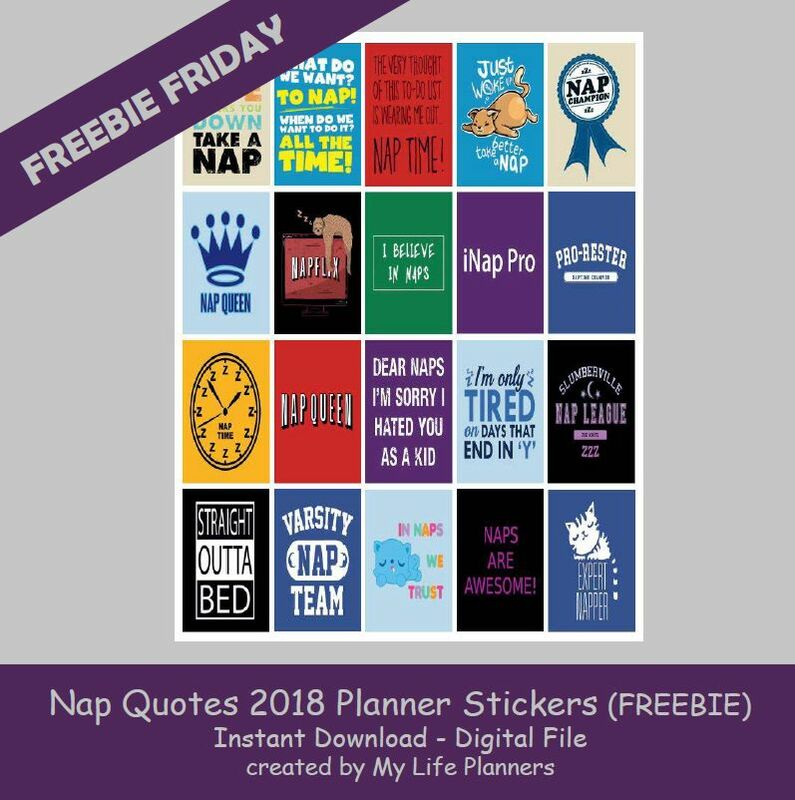 Go ahead and take the nap and now you have a freebie sticker to mark it in your planner.